Looking at the Samson Juicers Model 9001 for your home? Many people consider this model a top choice. If you are considering a healthier lifestyle, which includes homemade fruit, vegetable and wheat grass juices you have probably been considering a new juicer. This will lead you to hundreds of possibilities, as there are manual juicers, pressers, masticating and centrifugal. 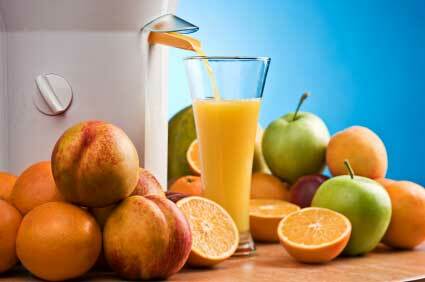 Which juicer you truly need will depend a lot, on what you plan to do with it. 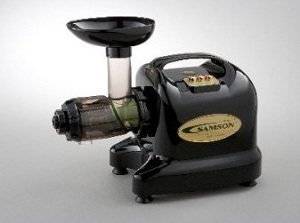 A great all around juicer, which means it will handle most jobs, is the Samson 9001. Single auger- this is a slow auger machine which makes it a really good choice for wheat grass and leafy vegetables. Plan on Making Lot of Juice? You can juice just about any fruit or vegetable out there, with the right machine and while this is, a good rounded machine if you plan to juice in large quantities or a variety of very hard produces you may want a hardier machine. It really all comes down to what and how much you are going to be doing with the machine. Many heavier duty machines are out there, but you must realize they are going to come with a heftier price tag and some size to them. This unit will sit easily on your kitchen counter and not take a huge bite out of your budget. Generally speaking, the Samson 9001 is a good juicer for beginners or those who do not plan to make gallons of juice at a time. This juicer has received some mixed reviews. However, overall on Amazon’s website the average review is 4 out of 5 stars. The suggested retail for this juicer is $299.95. However, generally Amazon.com has it at a reasonable discount with free shipping. You may be able to find a lower advertised online, but without the free shipping which usually more than makes up for the difference. Anytime you are planning to invest in a machine of this caliber, you should do your homework. Reviews on this particular machine are actually quite good. But, you will notice that most of the glowing reports are from users who had a clear understanding of juicers as a whole and knew what to expect of a masticating single auger design. The manufacturer recommends this unit for beginners who want a great deal of functionality for the price. In addition to making, several fruit and vegetable juices, you will be able to process soymilk and even nuts like almonds for nut butter!